Old Santas are the best Santas. 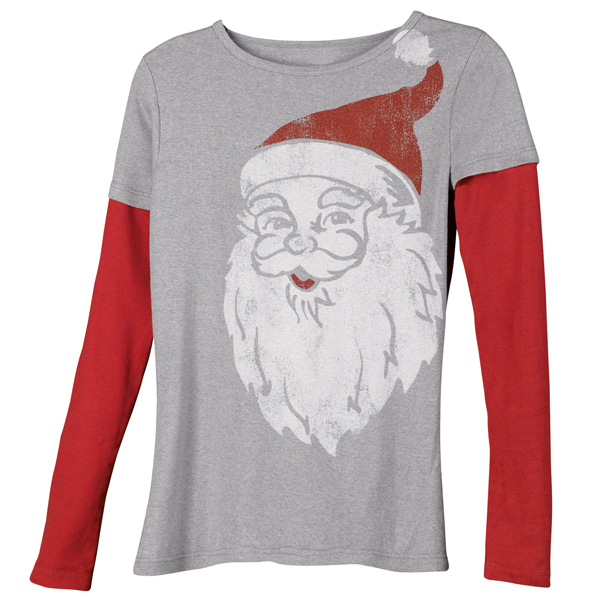 This one looks comfortably worn, like he's been your favorite holiday shirt forever. Tee with faux-layered sleeves is preshrunk 100% organic cotton, printed with water-based inks and dyes. Feminine fit, sizes S-XXL. Machine wash. USA.